I’ve been excited about playing Firewatch ever since Campo Santo first revealed it. Every trailer since then has looked absolutely stunning and the screenshots are basically excellent fodder for wallpapers. Combine that with music by Chris Remo (who I loved in Gone Home) and the involvement of Panic (One of our favorite studios out there) and my interest grew multiple times. Over the last few days, I’ve managed playing Firewatch twice while trying to consume every little bit of dialogue that has been carefully placed in this world and have come out impressed for the most part. 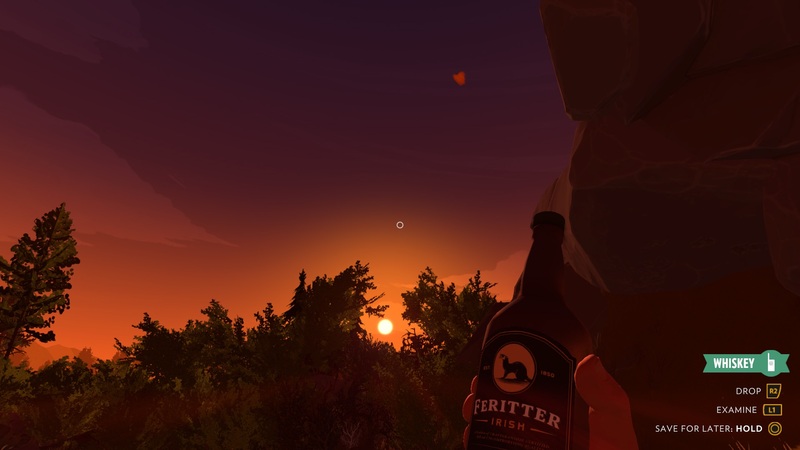 Firewatch is a first person exploration adventure game that will take you about 4 hours to finish. A single playthrough will leave out a lot of dialogue and hidden things, so keep that in mind. 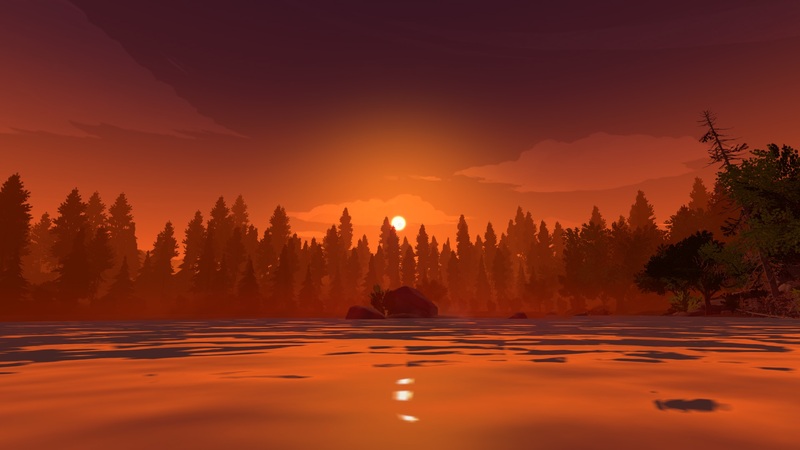 The reason Firewatch is being featured here, is because of the absolutely gorgeous visuals by Jane Ng and Olly Moss. There’s also the best in class UI for the game done by Jake Rodkin. The stunning interface and visuals can be seen even on the game’s official website with the perfect use of colors and great typography. Firewatch, set in the late 80s, tells the short tale of Henry, a man trying to move away from his past who is living in the Wyoming wilderness in a fire lookout tower. He has only one person to talk to, his supervisor, Delilah. Firewatch succeeds in creating a relationship over a handheld radio between two people who have never met that feels real. The conversations are never forced or rushed and Campo Santo deserve a ton of praise for this. Many games that follow a similar style end up creating interesting characters, but the conversations are never this good and real. When it comes to the actual plot, I like how Firewatch never lets you get comfortable. At times it feels like a horror story and sometimes just a normal day in the life of a person. The atmosphere is always changing and sometimes gets a little too tense. This is complemented very well with Remo’s score and the audio design overall. Hearing ripples in the water of the lake as you approach is quite amazing as it leads into the reflection of the sunset on the lake. 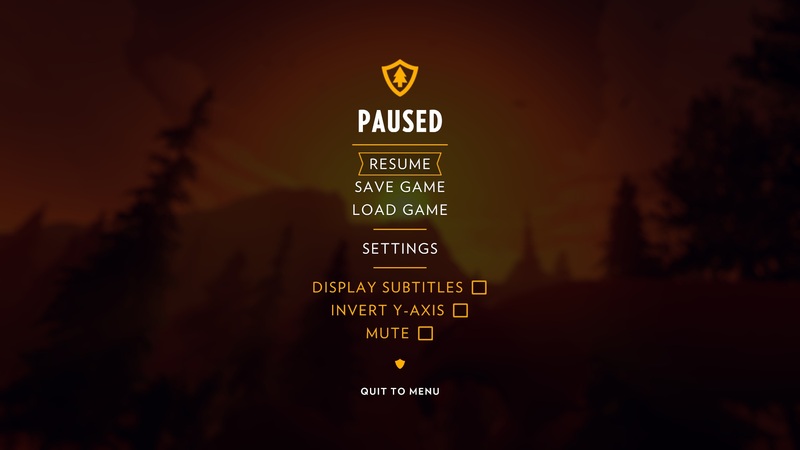 I love the user interface in Firewatch. Right from the opening with a visual novel esque choose your own adventure feel to the ending credits, the typography and colors used work great together. Even in game, when you have to reply to Delilah using your radio, the glyphs are awesome. Pause your game and have a look at how well they show off the controls when you can, because more game developers need to invest resources in the little things. The yellow typography on the tinted environment really stands out well. Visually, almost everything is gorgeous. I say almost everything because the ground feels really different in comparison to the sky and the trees. I’d go so far as to say the visuals on the ground feel like an after thought, thanks to them looking plain bland in many areas. The rest of the visuals however, including the little things like books in your lookout tower and small pinecones around the supply boxes all are excellent. Prepare yourself to take a good amount of screenshots while playing the game, considering how jaw dropping some aspects of Firewatch are. If you’re playing on Steam, you can even use the in game camera images to relive your moments through a printing service available. This feature is only available in the Steam version of Firewatch. 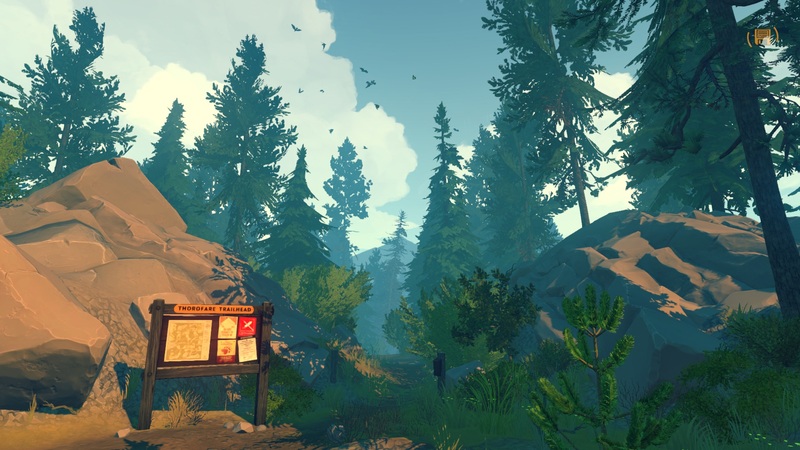 If you do plan on playing Firewatch on PlayStation 4, there are some performance issues. 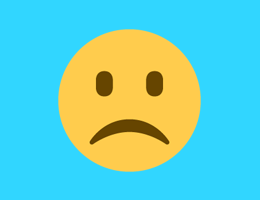 The framerate drops when not much is happening on the screen randomly and this may or may not annoy you and break immersion, depending on how sensitive you are. The PC version has a few visual hiccups here and there, but it runs a lot better than the PlayStation 4 version if you have a good enough GPU. Firewatch is memorable and great overall, but the ending leaves a little to be desired. If you’re a fan of adventure games or games like Gone Home and you have felt like you needed a little bit more, Firewatch is for you. Keep an open mind and you will enjoy your short time in the Wyoming Wilderness. Campo Santo manages to make you invested in Henry and Delilah within a short period of time in this amazing narrative experience. Firewatch is available on Steam (PC and Mac) and PlayStation 4 for $19.99. Campo Santo has now made available some amazing official Firewatch wallpapers that you can download. Matt Birchler has also created these beautiful Firewatch wallpapers based on the game. Thanks, @mintshows.